"Discover the value of the Digital Enterprise for the beverage industry" was the Siemens motto for the Drinktec 2017, the leading international trade fair for the beverage industry. At the 240 square-meter booth in hall A3, Siemens showcased how industrial companies of every size can benefit from the digital transformation – from the digital value chain in the engineering process to the integration of machines into the line. 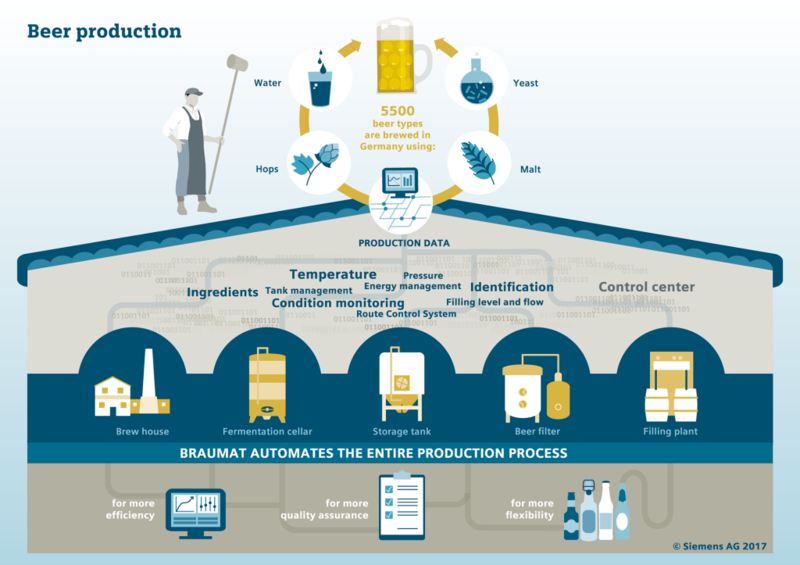 At this year's Drinktec, "Braumat", the Siemens process automation system for breweries is celebrating a jubilee: It has been on the market for 40 years. Initial automation solutions based on electronic controls came into being since the 1970s. 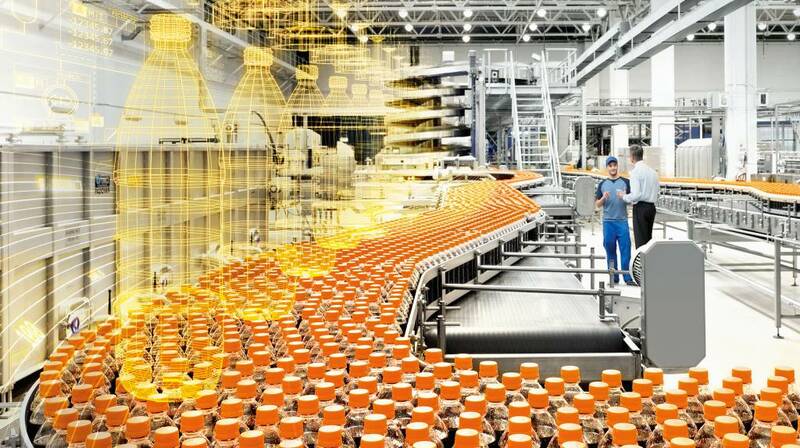 Trade fair slogan "Discover the value of the Digital Enterprise for the beverage industry"
The Siemens slogan for this year's Drinktec, the world's leading trade fair for the beverage industry, exhorts visitors to "Discover the value of the Digital Enterprise for the beverage industry". On its booth encompassing around 240 square meters, Siemens will be demonstrating how industrial enterprises of all sizes can benefit from the digital revolution – from the digital value chain in the engineering process through to the in-line integration of machines. Read more about "From quantity to quality"
Website: MediaService Industries Blog – Could we be eating & drinking digitally in future?